DON'T CLICK AWAY! I HAVE ONE FINAL OFFER - WITH MULTI-SITE AND DEVELOPERS LICENSES TO THREE OF MY HOTTEST SELLING PRODUCTS! Cindy Donovan here and I’m about to BLOW your mind. … and today I’m going to do something I’ve NEVER done before. Something that’s going to EXPLODE your success rate. And something I’m most likely NEVER going to do again. 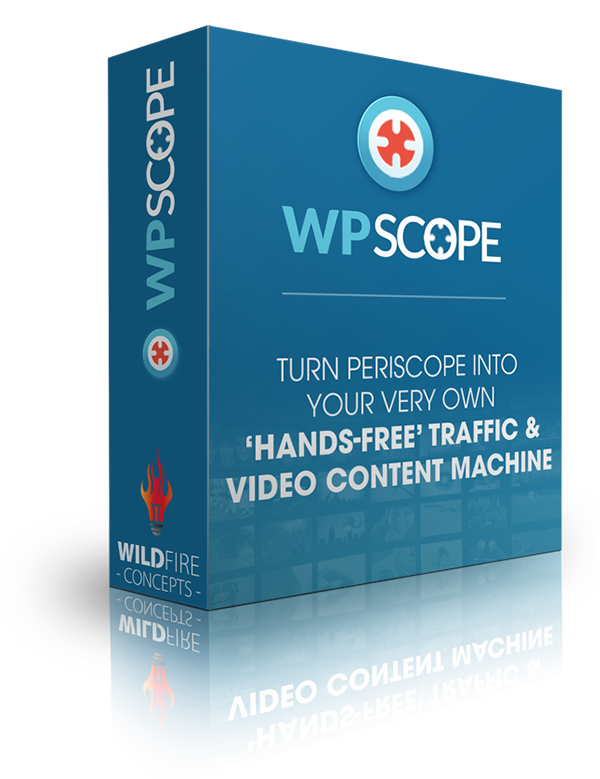 "Activate & Automatically Capture Targeted Videos Any Time One Of Your Chosen Periscope Video Creators Goes Live!" The Plugin Auto Detects It & Captures It BEFORE Twitter Deletes It Forever. ...that Twitter (the owner of Periscope), doesn't want to have the responsibility and expense of hosting the massive amounts of video that's streamed every day. Twitter actually permanently deletes the video replays after 24 hours. This of course, is bad news if you are a marketer using Periscope for evergreen content - because, well... it's not evergreen. But GREAT news if you are a marketer using Periscope for evergreen content NOW, because you can use my Wordpress plugin to capture these videos and create viral lists with them. But what does that mean for you, new Viral Loop website owner? With over 10 million Periscope users, and more than 200 million videos being created and streamed last year alone... finding someone who is creating videos and publishing them about YOUR niche is going to be easy! The WPScope plugin allows you to find your perfect video publishers and send them a tweet, requestign permission to publish on your channel. WPScope provides (optional) links back to them, to help build their authority online, so it's a total win-win! Once you check the box in your WPScope admin and activate the plugin, everything runs on autopilot. Any time one of your listed video creators releases a new video the plugin auto detects it and captures it BEFORE Twitter deletes it forever. The WPScope plugin can automatically post it onto your blog too! Even more powerful... WPScope lets you cross link between YouTube and your blog, allowing you to post a URL back to your blog in the YouTube video description... for even more traffic! Do you want to see WPScope In Action? But... we are not stopping there!!! 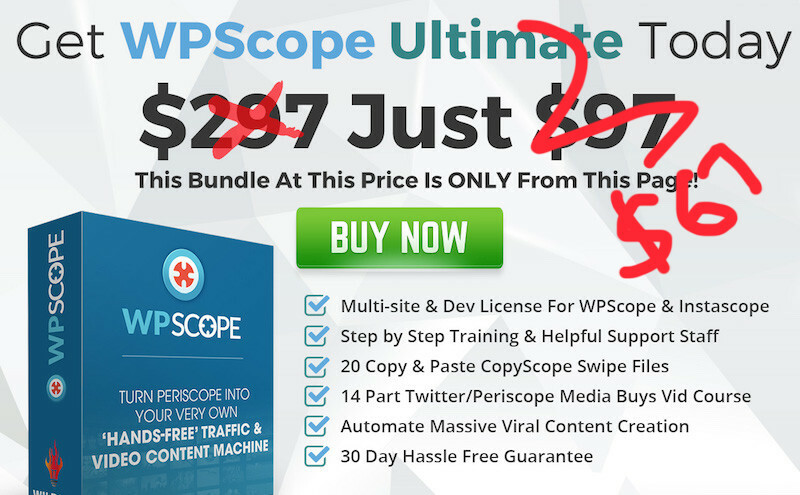 As I mentioned earlier, I want to make this a deal that will knock your socks off and so today instead of only getting WPScope I am going to equip you with EVERYTHING you need to completely dominate Periscope for HUGELY Viral content and traffic, leading to massive lead generation and of course... sales and cash for you! This is a collection of 20 perfectly structured Periscope swipe files if you want to start recording your own Periscope videos with maximum success. Instascope is a WP Plugin that lets you point and click your way to highly targeted INSTANT audiences for ANY niche that gets larger every time you use it! Why Do You Need CopyScope? 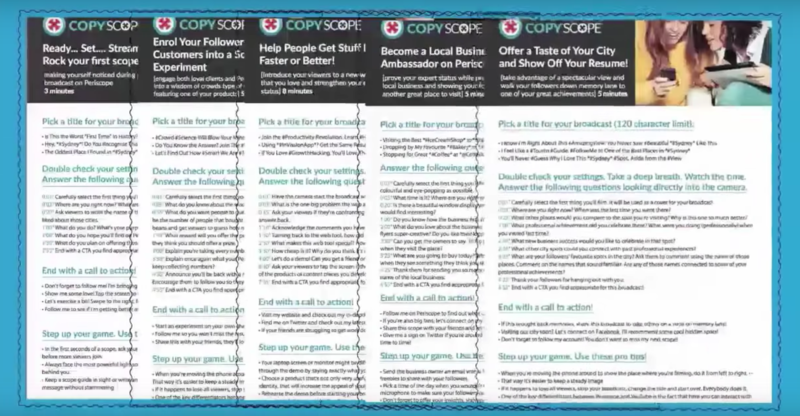 Copyscope is a collection of 20 files that you allows you to copy from the EXPERTS with a never before released vault of files that are going to allow you to get started quicker than you ever thought possible. Everything from your first Periscope broadcast, to the exact template you can follow to present (and sell) affiliate products, or showcase a product in the service industry - or even what to do when you just need to reconnect with your audience. Each swipe file contains time stamped suggestions, broadcast titles, recommended hash tags, call to action prompts and much more! Proven to convert Periscopes you can plug in and play INSTANTLY. 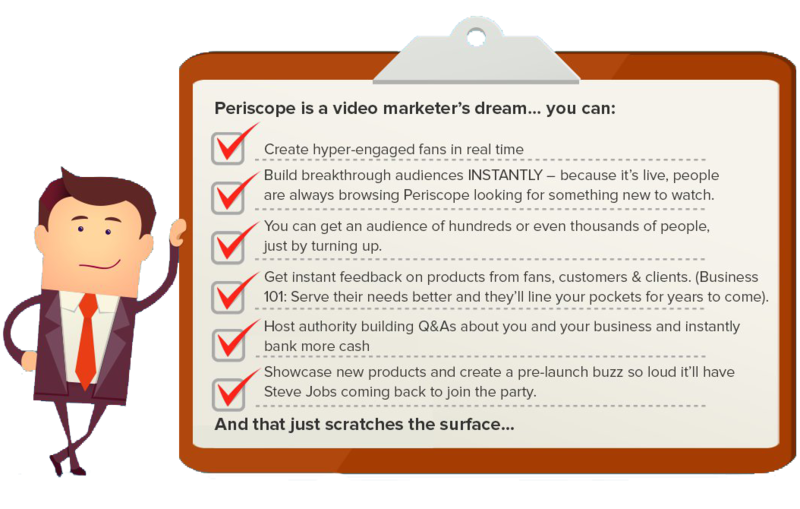 InstaScope is Periscope targeting software & practical step by step media buys training. Using the plugin and training, you are able to tap into HIGHLY targeted traffic for your Scopes, or even straight to your blog for as little as a few cents for lifetime lasting clicks, leads and sales. If you want to MAXIMISE the power of this 10 million+ strong audience AND use that to grow your Viral Loop communities then THIS is your chance! We'll see you on the downloads page! P.P.S. You will get instant access - and of course, training and support along each part of the way. So click the button above to have this content added to your downloads and get the WPScope advantag today.